As you can see we just started off on psdreview and we thought why not give you a round up of Top 30 Photo Manipulation Photoshop Tutorials that were released in this year. These Photoshop tutorials will help you in learning new techniques, effects and photo manipulation. We will be back with more stuff that will help you in your design project so add us on your social pages, feed readers or any other way you feel comfortable. We have lot to share in coming days. We hope you will enjoy these photoshop tutorials and will give us some time on commenting. Create an abstract space fantasy photo manipulation inside Photoshop. This Photoshop tutorial will show you how to combine several different images, blend them together using layer masks, and apply color adjustments. This Photoshop tutorial will walk you through the steps of how to create your very own futuristic artistic portrait. The great thing is that these techniques can be applied to virtually any portrait, meaning you can give yourself a creative self portrait, or even Photoshop the faces of your friends and family to surprise them! In this Photo Manipulation Photoshop tutorial you will learn advanced tips to create different shapes made from fire and how to use filters, adjustment layers and masks to create this stunning effect. Learn how to design a super cool club poster, perfect for advertising an event or night out with photoshop. You’ll work with custom patterns, lighting, blending, masks, photo manipulation and more! 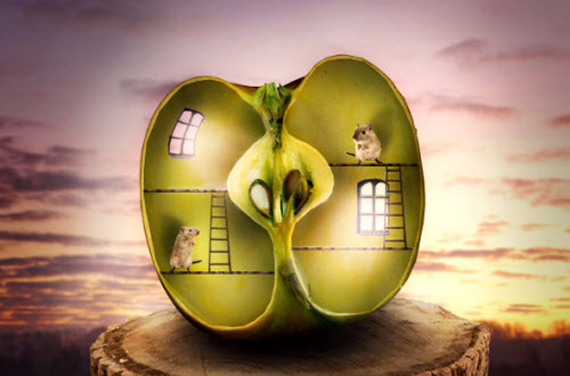 Learn how to create a surreal apple habitat scene using a variety of photo manipulation techniques, blending, lighting, warping and more in this photoshop tutorial! Learn how to design a scenic photo manipulation with an out of frame effect in photoshop. You’ll work with blending, masking, adjustment layers and more! Today we will take a break from the ordinary stuff and go into a fantasy world. Learn how to build up your own micro society using many different pictures and some cool photo manipulation techniques in photoshop. I saw some beautiful 3D illustration of Madagascar that inspired me to create this illustration. In this tutorial, I’ll share my experience in recreating this illustration. This tutorial will utilize Photoshop 3D features, layer masking, and a lot of selections. In this Photoshop tutorial, I will give you an example of how to create a movie teaser poster in photoshop. It will show you how to draw a mask for your character using the pen tool , blend modes and textures. Also, I will be talking about usage of color for your environment, how to make your images sharper and I will give some tips on how to add more detail to your work in photoshop. In this photoshop Photo Manipulation tutorial we will transform some regular pictures into cool 3D photos and we will integrate them in a veridical scene. If you followed some of my previous tutorials you know that I am a big fan of channel masking techniques so we will use them in this tutorial too. In this digital art photoshop Photo Manipulation tutorial I will show you how to create a nice abstract artwork using a few stock images and how to create your own custom elements using the Lasso Tool. I will also show you the “post editing” process where you enhance your final artwork and give it the final punch. Hope you enjoy this. A great photoshop tutorial for photo manipulation where you will learn different techniques and get a grip on photoshop. Photoshop can let us do some amazing things. In this long and detailed tutorial we will demonstrate how to create a cybernetic woman using a photo of a model and a few stock images. This content includes written and video content. Where possibilities are endless.. Lets get started with this amazing Photo Manipulation Photoshop tutorial. It’s funny to see how simple objects can inspire creative type treatments. In the past I’ve played with plates, paper and wood using photoshop. 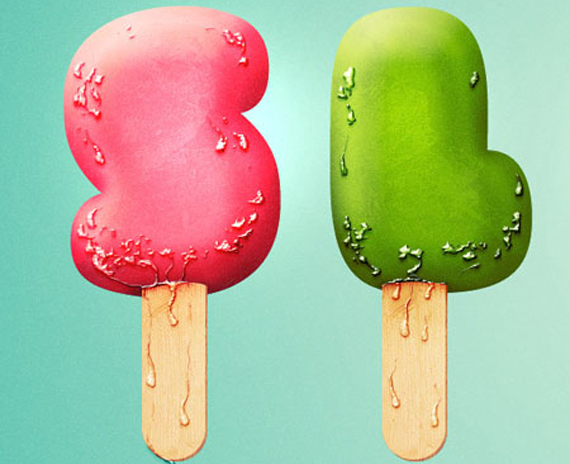 Today I will show you how to realize an awesome text effect using ice cream! The process is simple enough for any level Photoshop lover. We will be dealing with illustration techniques, and will explore the power of layer styles applied to custom brushes. So… give it a try! Do you have a favorite shoe that no matter how worn out it is, you still would like to use it? Well, you don’t have to throw it away. You can creatively do some touches to make it look brand new. You can start creating your custom shoe design by using Photoshop. This way, you wouldn’t need to buy a new pair of shoes for the holiday season. For this tutorial, we will show you how to design a custom painted shoe in photoshop using different techniques. In this photoshop tutorial, I will show you how to create a flowerpot from scratch using several techniques in Photoshop. In this photoshop Photo Manipulation tutorial I’d like to show you an easy and quick way on how to blend glass and apply lighting effects and color adjustments to get the exact picture you want. In this Photo Manipulation tutorial, it will teach you how to use features like smart filters, smart objects and shape to design the can to make it resizable. Below is the final result on what we are going to come up later on. So, let’s get Photoshop started. Assemble your stock photos, textures, and brushes. This image was created using one stock photo, two sets of splatter brushes, and one texture. In this Photo Manipulation photoshop tutorial I will explain the tools, thought process, and techniques I used to create the image, getting into specifics only where necessary. Creating a realistic character from scratch is a challenge itself which requires a lot of focus on details of character like lights, shadows, reflection, photoshop etc. In this tutorial you will learn how to create a funny 3d character in Photoshop from scratch by using few most basic steps and techniques like lights, shadow, brushes, blur, etc. Creating convincing buildings that appear like text in a cityscape can be a challenging task. In today’s photoshop tutorial we will learn how to create building-shaped typography in Photoshop using photos that you have taken yourself. Let’s get started! In this tutorial I will show you how to create a 3D grunge metal movie poster title in Adobe Photoshop CS5 by using the Repousse tool. Every movie poster needs a spectacular title whether it is in a grunge, metal, typographic style. This tutorial explains how to use Layer Styles to create a metal text effect, and then add a very nice decoration texture using only a couple of filters, without the need for brushes or texture images in photoshop. After that, some adjustment layers will be added to give the final effect an aged look. Photoshop is great because it allows us to create scenes that wouldn’t otherwise be possible in real life. In this tutorial we will combine several stock images to create a floating over-grown tree house in Photoshop. This tutorial explains how to create a simple pattern, then how to use it along with a couple of layer styles to make a chocolate bar like text effect. It then explains how to modify a simple brush to add a nice filling to the text, and finally, adding some adjustment layers to complete the effect. Photoshop allows us to manipulate most of the photos that we take and combine them into just about anything. It also allows us to create much of what we see in real life from scratch. In this tutorial, we will create the inside of a home from scratch using only Photoshop. In the end, we will create a lamp, nightstand, a picture frame and several other elements using layer styles and filters along the way. This week we are celebrating the launch of PhotoDune, Envato’s new stock photography website with a series of photo effect and photo manipulation tutorials that showcase the images from our new marketplace. In this tutorial we’ll demonstrate how to create a miniature world using some interesting techniques. Many of the photos used in this tutorial are available for free for Psd Premium Members. Let’s get started!